Norwegian insurance company divests from Australian fertilizer importer over imports from Western Sahara. "The companies [Astom and Wesfarmers] are excluded due to violations of KLP's ethical guidelines and because they have not rectified criticisable conditions or in other way signalled a way to solve their problem", says Mari Thjømøe, president for economy and finance, according to a press release today (in Norwegian). The news below was published in leading Norwegian business daily, Dagens Næringsliv (see original here -in Norwegian). Kommunal Landspensjonskasse Mutual Insurance Company (KLP) has excluded two further companies from its investment universe. Check the whole list below. On Monday KLP presented its updated semi-annual list of companies that are excluded from its investment universe. Typical companies to be excluded are those that can be associated with breaches of the UN’s norms and with producers of tobacco and illegal weapons. In addition, recommendations from the Advisory Council on Ethics for the Norwegian Government Pension Fund – Global are followed. To the list of excluded companies have been added the energy companies Alstom and Wesfarmers, both because of breaches of human rights. The French company Alstom has been excluded because of human-rights breaches at a hydroelectric-power project in Sudan. A special envoy for the UN Human Rights Council called upon, among others, Alston, which is the main supplier of electric equipment for the project, to halt operations because of reports of human rights breaches in connection with criticisable conditions and the forced transfer of about 50,000 people. KLP also excludes the fertiliser producer Wesfarmer as a result of illegal import of phosphate from Western Sahara. 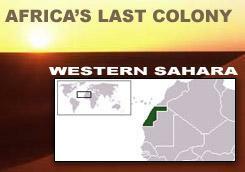 The area is occupied by Morocco, and in 2002 the UN declared all extraction of natural resources in West Saharsa as illegal. The head of Alstom in Norway, Svein Ole Strømmen, received the message just before 11 a.m.
“We do not especially like this,” he told DN.no. “We supply equipment for a hydroelectric-power project in Sudan which is led by Chinese. Alstom in Norway has nothing to do with this,” he added. “It’s a little too soon for me to comment. I will check how the corporation is dealing with this, but it is not pleasant for the corporation to land on such a list,” Strømmen said. According to its web pages, Wesfarmers attaches great importance to its reputation and to being a responsible company. In 2002, KLP was the first Norwegian insurance company to subject all its financial investments to an ethical filtration. The ten principles of the UN’s Global Compact constitute the basis for the company’s criteria, and the OECD’s guidelines for multinational companies and the ethical guidelines for the Government Pension Fund – Global are also considered. “We believe our influence has become even greater. The investors that are best equipped for the future are those that have cleaned up their acts. But it is demanding to live up to the principles,” Mari Thjømøe, corporate director of KLP, said at today’s press conference. According to KLP, constantly more funds are being subjected to ethical principles. In Europe outside Scandinavia this applied to 10-15% of the capital in 2005, a 36% increase compared with 2002. This amounts to €1003 billion. In Norway 45% is subjected to ethical guidelines. But KLP is not just involved in exclusions. “It may be smart to attend general assemblies and raise our voice in companies we have invested in if there are things we are concerned about,” Aage Schanning, head of KLP, said. Halliburton and Anvil Mining have been removed from the exclusion list, whereas Ryanair is on the observation list because of dubious methods with regard to labour law. The American oil service company Halliburton has put the corruption accusations behind and has been included in the portfolio again. Halliburton’s subsidiary Kellogg, Brown & Root (KBR) was associated with systematic corruption and unethical business practice and was excluded by KLP in 2005. “We are including Halliburton in the portfolio again because the company has accepted its responsibility and taken the consequences of the unethical business practice and criticisable conditions. Halliburton has also taken a stand to prevent similar occurrences in the future,” Jeanett Bergan, advisor for responsible investments in KLP Investment Management, said. Anvil Mining is also back in the investment portfolio. The company was associated with participation in a massacre in Congo. Anvil Mining has had a positive development since that occurrence in 2004 and has invested a considerable amount of work to implement “Voluntary Principles for Security and Human Rights”, according to KLP. KLP has now excluded 41 companies from its investment portfolios. Three companies are excluded because of corruption, six because of human rights breaches, four as a result of breaches of the workers’ international rights, and four as a result of serious environmental offences. In addition, 16 companies are excluded because of weapons production and 10 because they produce tobacco. Translated from Norwegian by the Norwegian Support Committee for Western Sahara.